SMITE, the free-to-play mythology-themed MOBA from Hi-Rez Studios, has launched on Xbox One. During the game’s alpha and beta testing, there were over one million unique players, and now newcomers can jump into the fray. While the game is free-to-play, users will need an Xbox Live Gold account in order to play online. The MOBA also has an in-game store where players can purchase skins and other items for real-world cash. 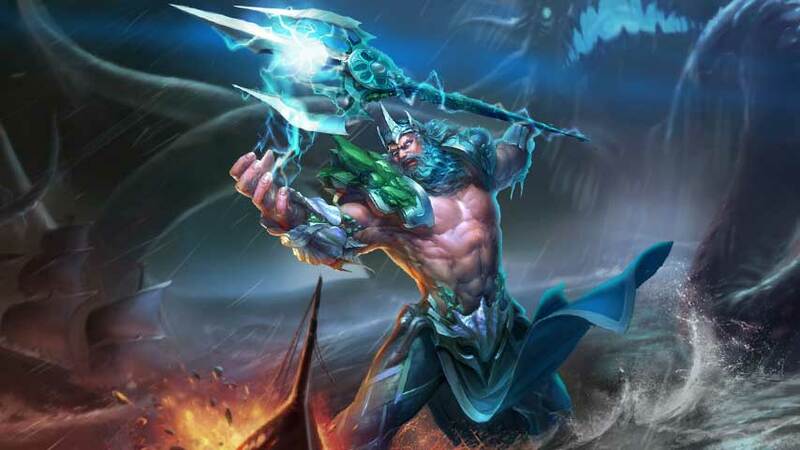 Those who link their PC and Xbox One accounts will receive a free Zeus Xbox skin for use with both platforms. Additionally, players can still purchase the Founder’s Pack for through the Xbox Games Store until August 31. It comes with every god currently in the game, all future gods, 400 Gems, the exclusive Ares “Soldier of Fortune” skin, and the limited Ymir “Cacodemon X” skin. A one-time account merge option lets players copy select progress and items from their PC account to Xbox One until the aforementioned date. Announced alongside the game’s availability was the first Xbox One SMITE tournament, which will take place at the Major League Gaming World Finals from October 16-18 in New Orleans. Teams will compete for a spot in the MLG Pro League, as well as a $25,000 prize. The MLG Pro League consists of 6-8 teams, one of which will qualify for the SMITE World Championship from January 7-10 in Atlanta. The SWC 2016, which will conclude Season 2 of SMITE for both Xbox One and PC, and it has already surpassed its $1,000,000 prize pool through season ticket sales. All further proceeds will go toward funding additional SMITE tournament prize pools throughout the season. More information on SMITE as well as the tournament, hit up the official website.